The Zebra ZXP Series 1 ID card printer is an affordable single-sided solution to print all your ID cards and badges on demand. Zebra� ZXP1 Single-Sided ID Card Printer/Encoder is an affordable entry-level solution with first-class direct-to-card print quality (full color or monochrome) for low-volume applications or instant card issuance and handles any basic card-production requirements with impressive easy-to-use results. With a very small footprint, optional magnetic stripe encoding, Ethernet connectivity, and multiple card thicknesses it�s a great starting tool and very well suited for governments, universities, retail, and hospitality businesses. 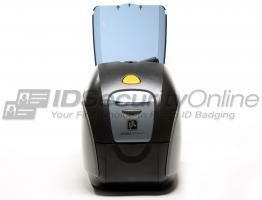 WHAT ARE THE MAIN SPECIFICATIONS OF THE ZEBRA ZXP SERIES 1 ID CARD PRINTER? The Zebra ZXP Series 1 ID card printer is an entry-level solution that provides first-class print quality at a great price. 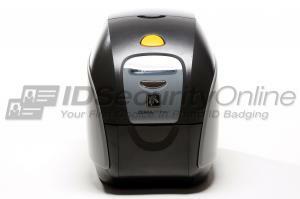 WHICH OPTIONAL FEATURES CAN I ADD TO MY ZEBRA ZXP SERIES 1 ID CARD PRINTER? 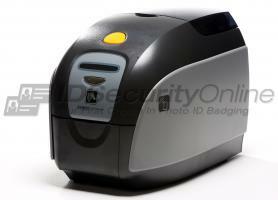 The Zebra ZXP Series 1 ID card printer offers optional upgrades to adapt to your needs. CardSense� single-card feed cleaning rollers. WHICH TYPE OF CARDS CAN I PRINT WITH THE ZEBRA ZXP SERIES 1 ID CARD PRINTER? 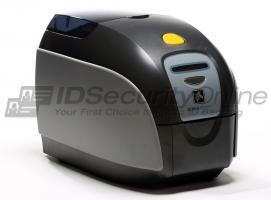 The Zebra ZXP Series 1 ID card printer has been designed for low volume applications and/or instant card issuance. Retail & Hospitality: Loyalty cards, gift cards, membership cards, hotel, cruise or other hospitality cards. Identification & Access: Employee ID cards, access control badges, visitor badges, business cards, ID cards for inventory or goods. Government & Education: Student ID cards, library cards, recreational facilities and certification cards.